All the talk at the start of the week at Merion was whether we would have our first 62 in a Major. Supposedly, with a course under 7,000 yards, a string of short 4s and a par of 70, we would see a host of low scores. Come the end of the second round only Phil Mickelson and Billy Horschel were under par. Come Saturday night only Mickelson was. 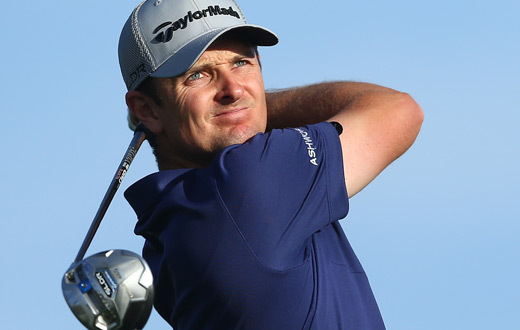 Justin Rose had been in red figures but closed with a pair of bogeys, disconcerting and frustrating at the time but, in hindsight, a stroke of luck. Rose would spend his Father’s Day Sunday alongside his compatriot Luke Donald and two groups back from the hullabaloo of Mickelson’s bid for a US Open. Come Sunday night nobody finished under par but Rose’s magnificent 70 was two clear of the field. In a fitting conclusion, the Englishman played the 4 iron of his life, at the same hole as Ben Hogan’s iconic 1 iron and just a few yards from the great man’s plaque, to become the first Englishman since Tony Jacklin in 1970 to win the US Open. One year on, he reflects on his Major moment at Merion. “I never try to get too excited or disappointed with my pairing because I never want to let that affect my performance. Saying that, I was excited to play with Luke. Our caddies are very good friends. But, again, sometimes with that, it can create maybe not the right environment in which to play your best. “When it gets to the final stages of a Major, it almost doesn’t matter who you’re playing with. “But we had some unique circumstances. I think it was a perfect situation to be paired two groups back, slightly removed from the happy birthday songs and the Phil kind of crowd as well. “It was, I think, a lot for that grouping to deal with. There was a lot of energy in that group, and that can be a fantastic thing if your game starts going well and you can feed off it. “I don’t think you can prepare for the feelings really by just talking to other guys. It has to come from within, too. Majors are a test of what’s inside more than your golf game, too, and I think that’s what it’s all about. “It’s about dealing with your own inner workings of your mind and they are such a big deal, but the key is to not make them such a big deal in the moment when you have the chance to win it. “That’s the challenge that a lot of us face out there, and that’s what I felt like I overcame at Merion. “I felt like I stayed pretty cool and calm for the most part. “Of course I was nervous and everything like that, but I remained sort of in control of my emotions.